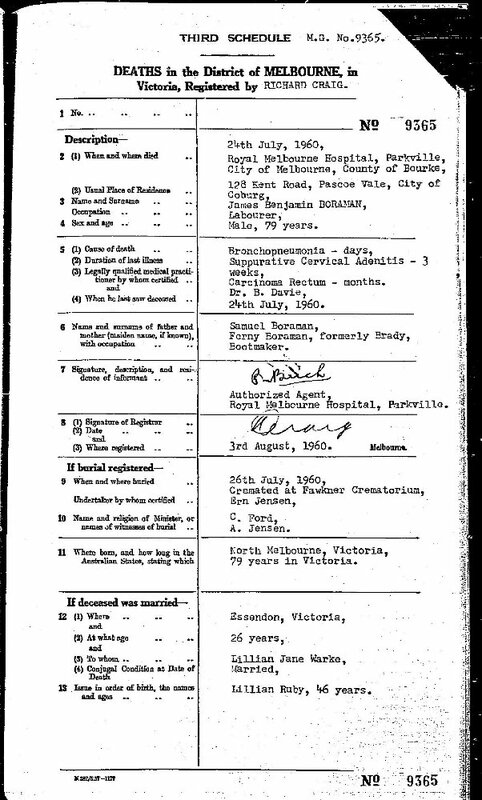 Also in 1914 Boraman Bros, wood merchants at Cameron St, Brunswick Melbourne. Probably in partnership with his brother William and/or Samuel. In 1927 the house in Brunswick Rd was being built but no wood merchants were listed. Hotham is now known as North Melbourne. 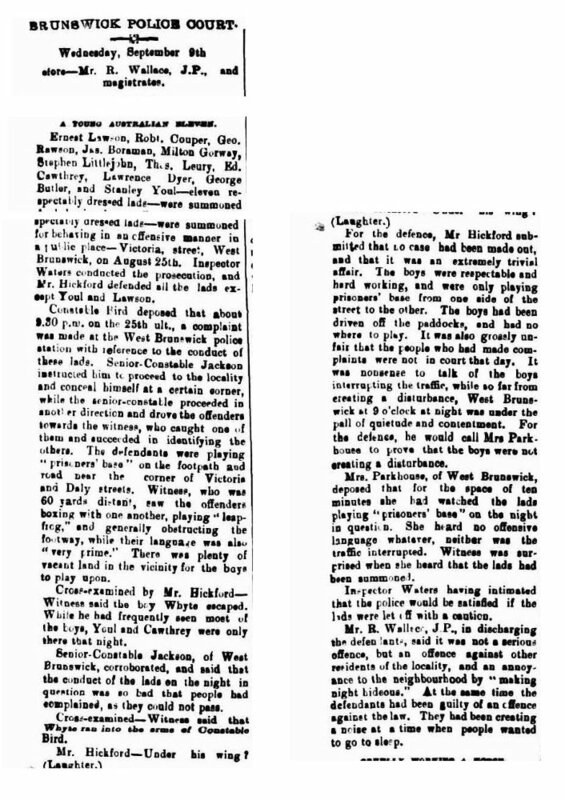 In 1903 he was taken to court with 10 of his friends for playing noisily in the street but after a fairly hilarious court exchange, was discharged.